Let’s face it, you can pretty much find and buy anything online these days, so why not a steel building? Steel buildings are low maintenance, affordable and environmentally friendly, not to mention benefit from the flexibility to expand through extension with minimal cost and upheaval. There are so many reasons to go with steel framed buildings if you are planning a redevelopment or expansion and now you can design, order and purchase your steel building online. In order to succeed today it is imperative that you offer your customers the chance to be fully involved in the decisions that are needed in order to create a design that will work for their particular needs. That is why SBS offer an incredibly easy to use and simple but effective design tool ensuring that the important details are laid out before an order is placed and customers can rest assured that they are involved every step of the way, making the ability to purchase online a smooth and effective decision as well as a convenient one. When the design tool has been completed and submitted a quotation will normally be with the customer within 24 hours. This is reflective of the attention to detail, customer service ethos and punctuality that SBS are known for. The online purchase procedure then dictates that SBS will instruct their design and engineering team to take the project on and depending on the complexity of the project all of the necessary paperwork and calculations will be ready within 5-10 working days. 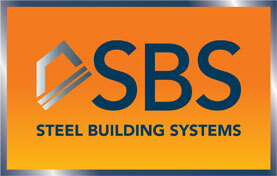 There are no lengthy waits and uncertainties when purchasing online with SBS. Keeping customers involved and giving them the chance to make any checks and amendments is vital. That is why after the plans are drawn up they will be given to the customer along with a list in order to proceed. Any alterations should be clearly marked on the drawings which, upon submission will be altered for final approval. Simple, right? From the day that the plans are signed off on the delivery date will be confirmed and site restrictions assessed. Throughout this process the logistics manager will be in place to allow clear communications. Usually all materials can be delivered at once, but some sites render this impossible and mean multiple deliveries are necessary. SBS have produced a ‘Help the Driver’ form that allows for the likelihood of this to be assessed. Again, keeping everyone in the loop. SBS work nationwide and their base in Derbyshire positions them in the heart of the country making for swift access to the motorway and to most areas of the UK. Approved by Safecontractor, CHAS and Constructiononline, SBS can be fully trusted to fulfil online orders with the care, attention to detail and diligence that you might expect from a local company. Take advantage of their expertise in design, construction and installation and look into ordering your steel framed building online. It is a rare and perfect example of how convenience and perfect planning come together in complete synergy.